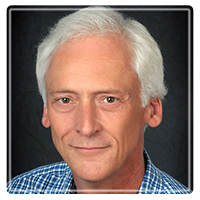 John has an MA in Counselling Psychology and is a Registered Clinical Counsellor (RCC) with the British Columbia Association of Clinical Counsellors. John supports individual adults, couples, youth and children who are experiencing difficulties in their personal, work/school or family relationships. With couples therapy, John aims to create a safe, respectful, supportive environment, so both partners come to feel they have been heard and understood by the other. Often when a relationship is in trouble, there are unmet needs and past hurts that have not been addressed. It is not uncommon to hear "We never seem to resolve things - at best we sweep it under the rug, until it comes up again!" Sometimes it is necessary to explore the underlying expectations and personality issues that have led to discouragement, a sense of alienation, hurt and anger. With understanding, and a willingness to change by both parties, the relationship can get back to trust, commitment and hope for their future together. John believes each partner brings something of value to the relationship that needs to be acknowledged and honored. In cases where one or both of a couple chooses to end their relationship, John helps with this process in a respectful supportive manner. With those who have suffered a traumatic event, John often uses his training in EMDR to bring about rapid change. John works with children and families in addressing the child's presenting challenges as well as supporting the parents in the process. In a different capacity, John is the Coordinator/Supervisor of the Volunteer Counselling Program at the Ladysmith Resources Centre (LRCA) - a community-based non-profit agency. He provides training and supervision to MA Practicum students, and to the dedicated volunteer counsellors who are there to support that community. John aims to be seen as respectful and competent with all those who reach out for help.